This article is about the village in Tunisia. For the village in Syria that is also known as "Agareb", see Uqayribat. 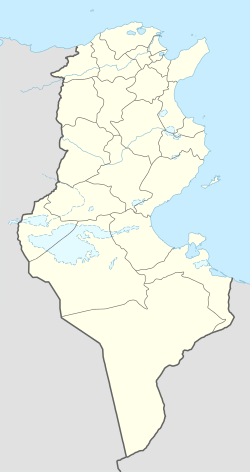 Agareb (Tunisian Arabic: عقارب‎) is a coastal town and commune in eastern Tunisia in the Sfax Governorate. It lies 20 kilometres from Sfax. As of 2004 it had a population of 9610. It was founded by an Islamic saint of the fourteenth century, named Brahim ben Yaakoub Sid Agareb صيد (أسد) عقارب. Agareb has a large industrial area which includes one of largest tile plants in Tunisia. Pastoral and olive production are important.